It has been a little while! Things have been pretty busy over here, so I am hoping I wore the home girl out enough at the zoo this morning and she will nap long enough for me to say some things! Quick rewind back to two weekends ago…Halloween weekend! We are pretty casual about Halloween around here. It isnt a holiday that we “celebrate” but we made sure Brooke didnt feel left out of the dress up part. 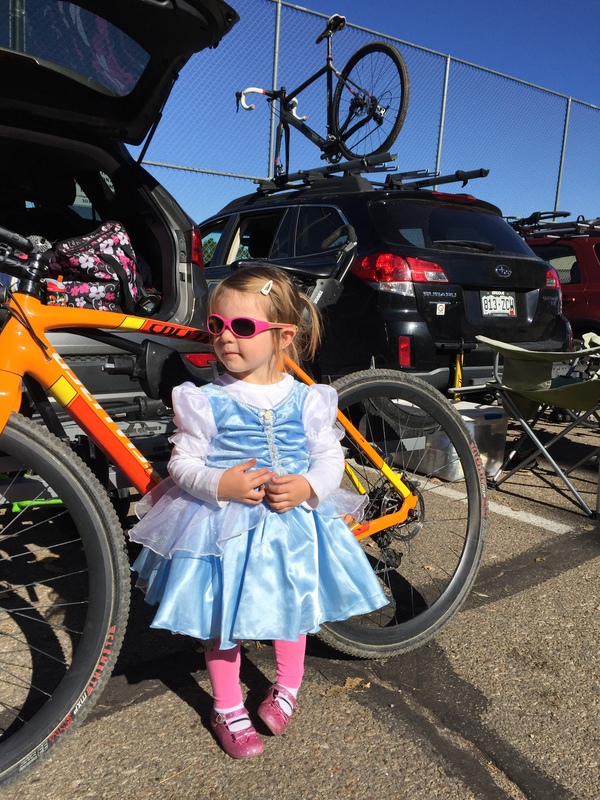 She sported her Cinderella outfit to our bike race that day and then we pushed her through the neighborhood to check out some cool looking pumpkins are to “Trick or Treat” at about 8 houses. She pretty much thought she was the coolest. But back to the race part…The race was at the Dawson School and was one that I had success at last season finishing 4th. I knew that finishing in the top 3 would get me points for a mandatory upgrade and I was totally excited for that. It is a course that meets a lot of my abilities and is heavy fitness based. From the whistle, I knew I was in trouble. My bike wouldn’t shift and continued to click in the gear I wanted but wouldnt allow me to put any pressure on it to get anywhere. All I heard was clunk clunk clunk and spinning without accelerating. My wonderful husband (with the best intentions) had put a new chain on my bike that morning and while it was okay during warm up, clearly race efforts were out of its league. I made my way to the first ride up. I was able to get into a low gear and push, but didnt have any of my easy climbing gears. Because of my lack of starting ability, I ended up in the middle to the back of the group. Not somewhere I wanted to be. Instead of calling the race in the first minute, I decided to keep going. Unfortunately, at the run up, a girl literally fell over sideways on top of me and took me half way down with her. Growl. 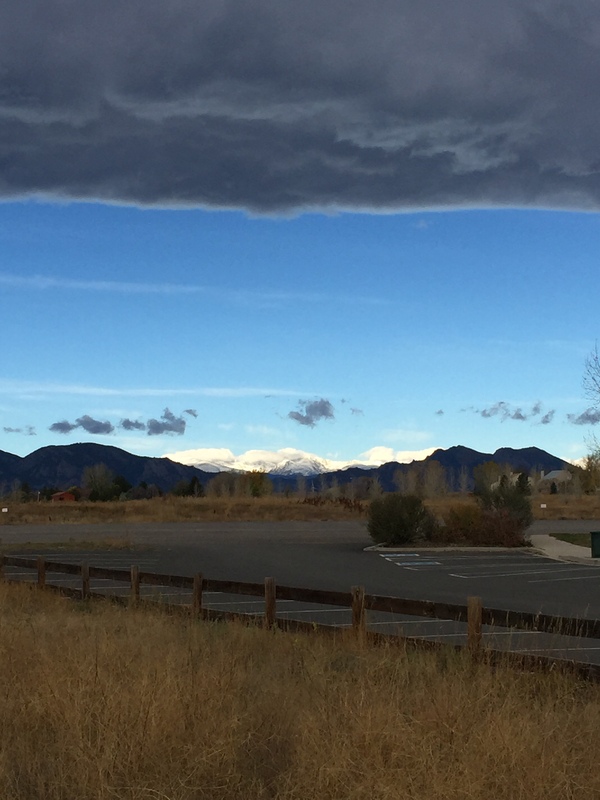 With renewed vigor, I hopped back on my bike and churned my hard gear. Every once in a while, I would try to shift into an easier gear, only to have my bike reject me. Over the course of the first lap, I was able to make my way back into the top 10, then the top 5. Ken noticed I was having problems and told me to come into the Pit. He and our friend Brady took a look at the bike, but couldnt fix it in that period of time. I was back on the course, pushing a hard gear up some gnarly climbs and flat out suffering. I eventually made my way into third place. Ken told me I could come into the pit again and that he would change out my rear wheel which would fix the problem. I tried doing the math in my head and that just seemed like too much time to have to try to make up if I lost spots, so I just kept at it. I dug really deep in the last lap and was able to close in on second, but just couldnt quite get there. I finished third-super happy to have made the podium and to have finished the race in general. It was my last race as a Cat 4 beginner. You can say Ken had a pretty successful race that day…he crushed the field and took his place on the top step! The following day, I chose not to race but Ken had another great race and finished 3rd. Stellar weekend for him! I rode with my sis-in-law and we had an amazing ride and view! 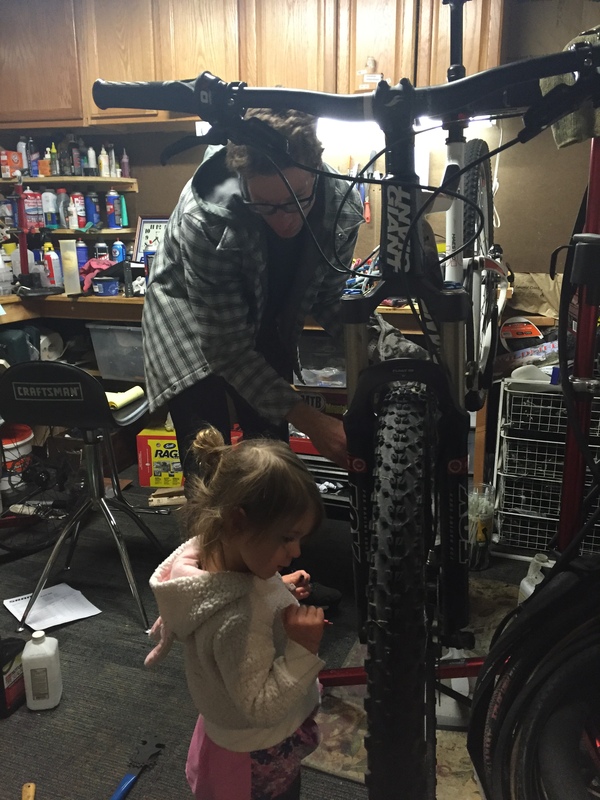 Then, my two mechanics got to work on our bikes!